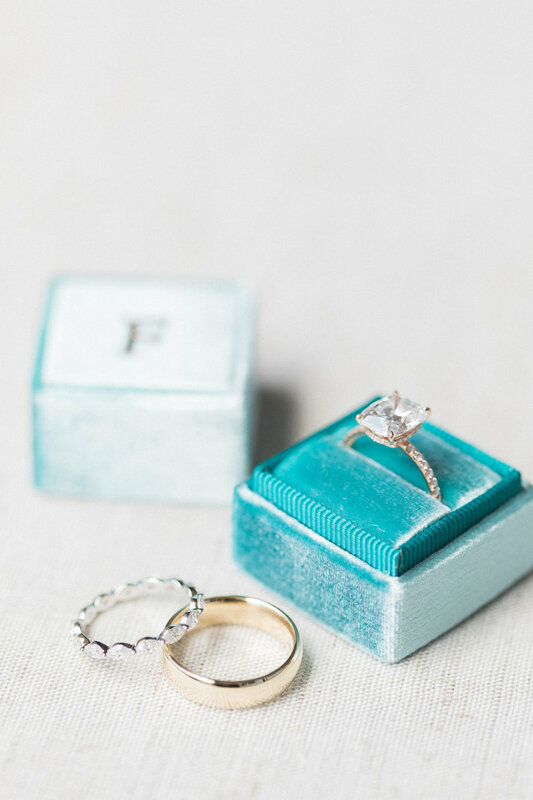 Kyle and Sophia's ceremony and reception was nothing short of glamorous. Their color palette was flawless and was designed effortlessly. 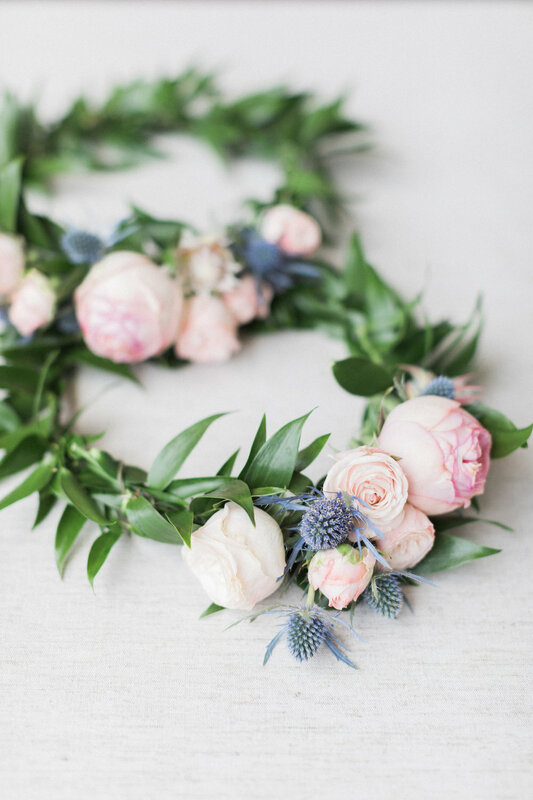 The combination of white and pink was accented perfectly with fresh greenery and a clear blue sky. 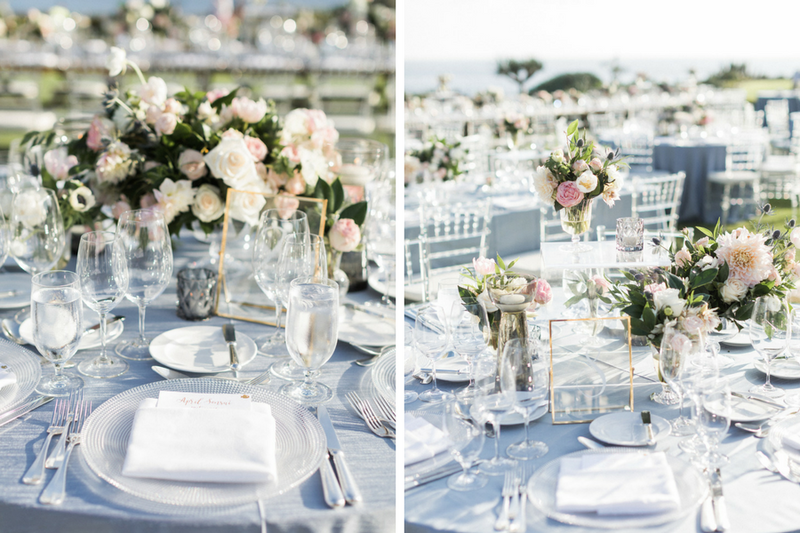 Guests sat at long wood tables that ran parallel to the length of the beach. 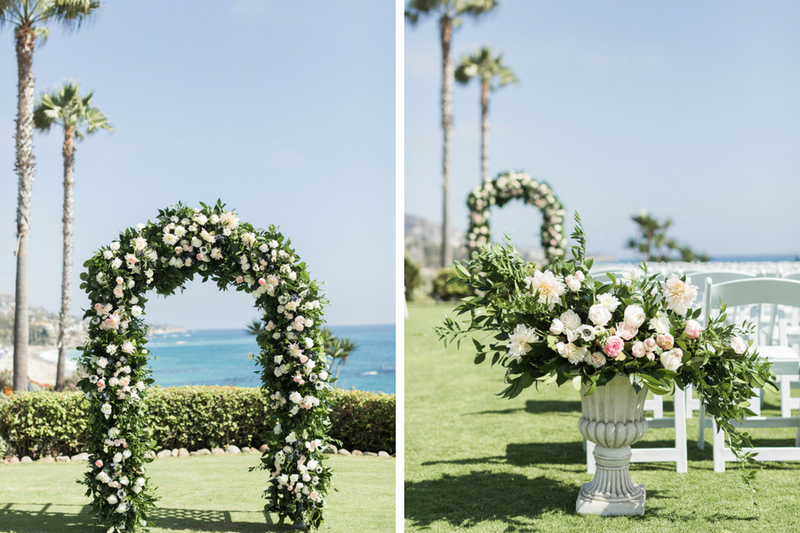 An archway wrapped with flowers and greenery was one of the many accents that made Kyle and Sophia's special day over-the-top. 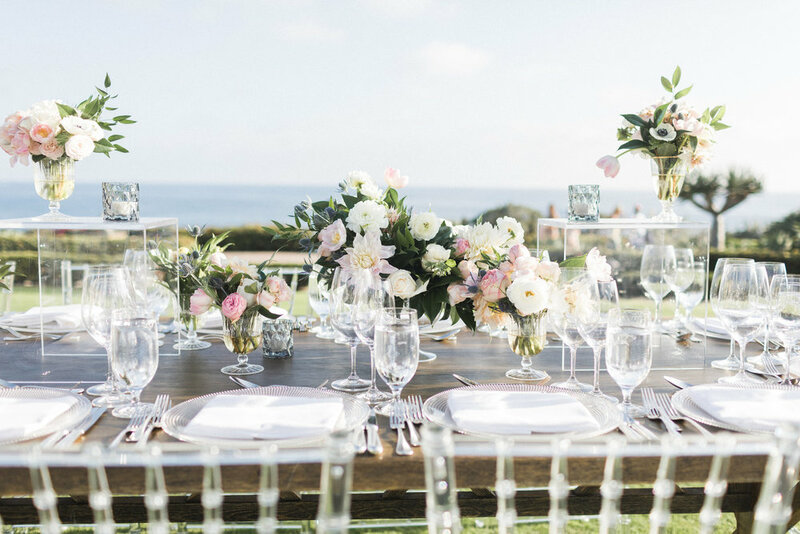 We loved designing the tablescape and overall design for this beachside wedding. 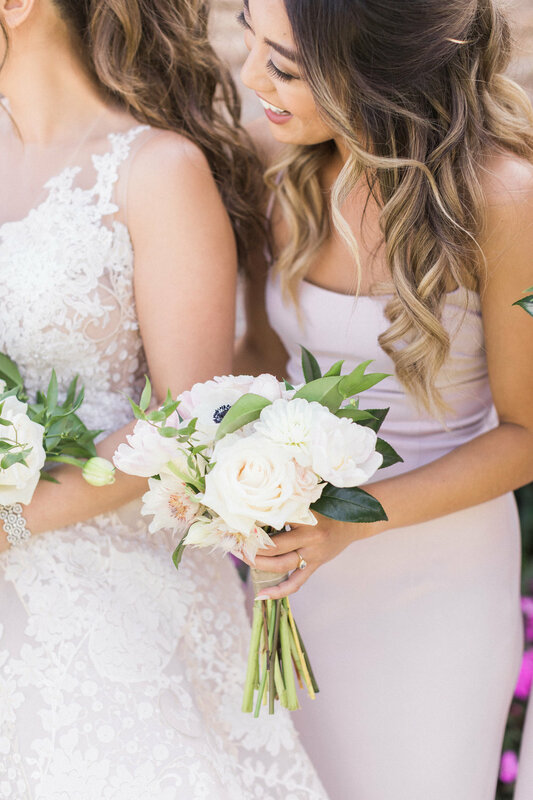 Pink, white and purple roses were designed beautifully for the newlyweds. White bulb lights graced the reception area and illuminated the dance floor for Kyle and Sophia's guests. Love was evident between the newlyweds and the guests had fun celebrating. 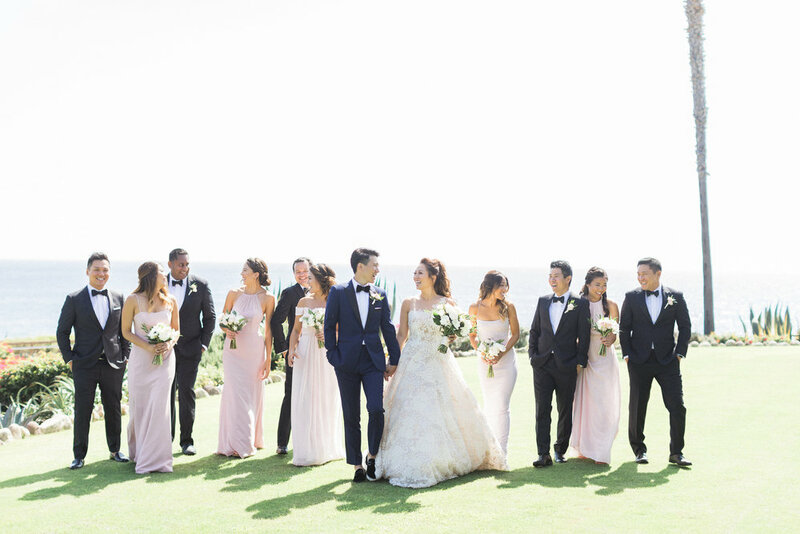 Palm trees, sunlight and perfect weather made for a flawless event for the new couple.